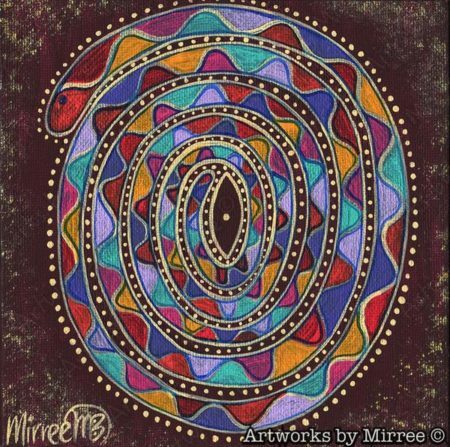 It travels in ever-twining circles and cycles, spiraling back inwards onto itself as we progress forward. Healing travels through generations by virtue of our blood, and we are living in a time when it is especially important—and miraculously possible—to heal our ancestry and our future, offering a blessing to this planet that so lovingly provides for us. As much as our human mind often wants things to be “easy”—logical, straightforward, a straight line to the destination—life does not always move in this way. 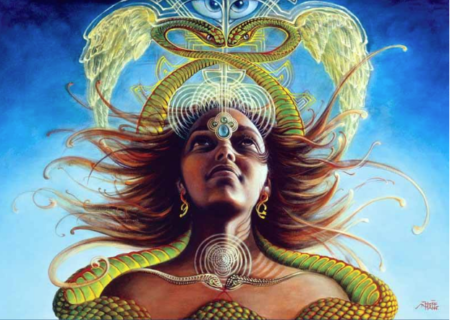 The ancient shamans, wise witches, and healers across time have known this, and would go on journeys to the higher planes to receive the wisdom to facilitate healing. In doing so, they would enter the space of “no-time”, or the realms where time is eternal and moves in all directions. 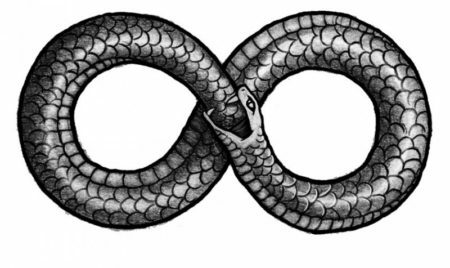 The Serpent is a master guide of these realms. She is a bridge between the Void space of Creation and the physical reality of the Earth. 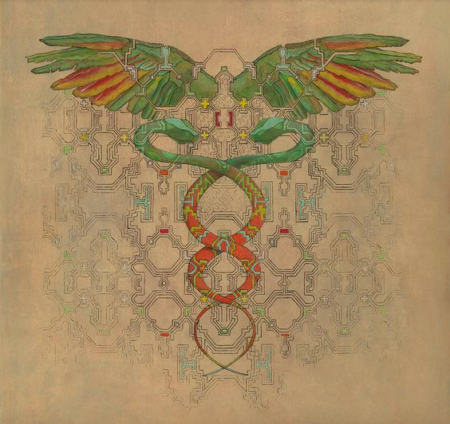 Serpent weaves through time & space, creating opportunities for multidimensional healing. Watch a snake move, and it’s easy to understand this aspect of their medicine. More often than not, a snake undulates and weaves its body around whatever object is nearest. They coil their bodies into spirals and slither gracefully, melding themselves to the shape of whatever they wish to traverse. 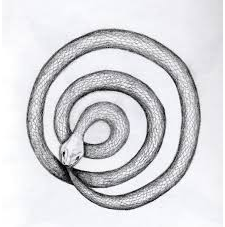 It is also why serpents in the form of a lemniscate (infinity symbol or figure 8), ouroboros (the snake eating its own tail, in a circle) and caduceus (two serpents spiraling together up a staff) are so often used to symbolize wholeness, healing and health. When we move with the ebbs and flows of life, we become privy to the healing currents all around and learn to dance them through our bodies. We can access this power ourselves by getting in tune with the cycles and rhythms of the world around us: the seasons, the movement of planets, the cycles of our bodies & monthly hormonal cycles (which all bodies have!) as well as our circadian rhythms, and the times and ways in which we consume nutrition. 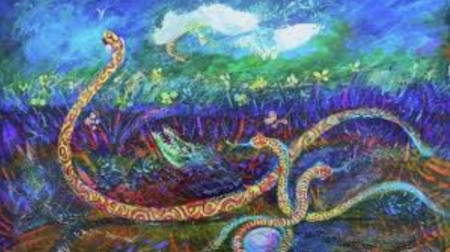 The more we pay attention to the natural currents that exist all around, the more we can move ourselves in harmony with them, as the serpent does. Have you ever noticed the way your body responds to the anniversary of an important event? Whatever emotions once surrounded this powerful experience, they often become more alive and activated as we go through the seasonal or yearly return to the original experience, especially if there was a trauma that happened. These moments of return become portals to revisit the past, and rewrite the story through our new lived experience. This revisiting is not meant to haunt us—it is an opportunity to heal. We are moving through some very intense, transformational times on this planet right now and there is great opportunity to rise in our power and ripple out healing energy to all beings upon her. When things feel gritty, tough, or stuck, we may call upon our ally the Serpent to show us the most graceful way to move through.